To whet consumer cravings for the one million Prime Day deals it has up its e-commerce sleeve, Amazon is revving its marketing engines with new ads and “unboxing” events in major cities around the world. 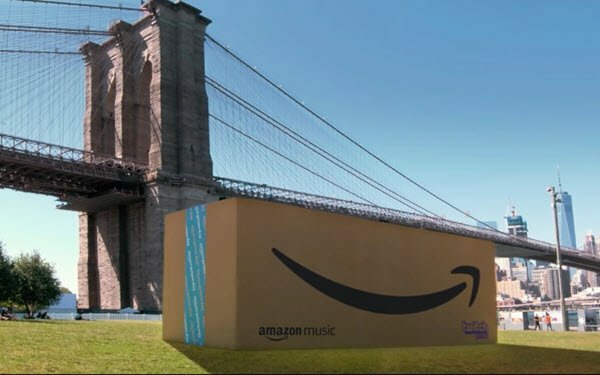 Those include giant Smile boxes (shown), traveling by air, land and sea, which will open to reveal events, unique to each city, that Amazon promises will be unforgettable. The boxes will link to Prime membership perks that include music, video and gaming. Amazon is also expanding the promotional “day,” now in its fourth year, from 30 to 36 hours. And for the first time, U.S. Prime members will find special prices at Whole Foods Market, which Amazon acquired nearly a year ago. At this point, it’s hard to overstate how big Prime Day has become. For Amazon, it generated an estimated $1 billion in sales last year, a 60% jump versus the prior year. And for all those who compete with the Seattle-based giant, it’s driven a complete reinvention of the summer retail calendar. Amazon’s goals aren’t just to increase sales, but also to expand Prime membership, already at 10 million-plus. Earlier this year, Amazon announced that it was raising the price of the membership, which experts say drives between $1 billion and $2 billion in revenues, from $99 to $119. While many deals focus on back-to-school items and everyday essentials, there’s no category that’s not included. And this year, Prime Day is doubling the offers on Amazon devices, including Alexa-enabled Echo, Fire TV and Fire tablets. As immense as it is, however, Prime Day still has a long way to go to top other key shopping days. Last year, Americans spent $6.59 billion on Cyber Monday. And spending on Singles Day, China’s Alibaba’s 11/11 global shopping festival, came in at $25.3 billion.